The Spurs ended their six-game road trip with a tough loss — and controversy — on Thursday night in Miami. Tim Duncan, Manu Ginobili, Tony Parker and Danny Green all were sent home prior to the game, a move to rest key players and help them recover from a 10-day road trip. Concord native Matt Bonner made his first start of the season, scoring 10 points with 10 rebounds, as the defending champions posted a 105-100 win. On Friday, the Spurs were fined $250,000 by the NBA. Question: What do you think coach Pop was thinking? Matt Bonner: He’s thinking big picture and trying to keep those guys rested and healthy for the entire season. It’s a tough break that it happens on a night we’re playing at Miami and on TNT, but coach Pop is more concerned with the overall wellness of the team. It feels like we’ve been on the road the whole season. We had an eight-day road trip before this trip, then went home for four days, then back on the road. Q: Wouldn’t those guys want to play against the Heat? MB: Absolutely. Professional athletes have a competitive nature and want to compete, but coach Pop has the final say. Q: The Spurs really showed a lot of character in that game. MB: We had a lot of strikes against us heading into that game. We played four games in five nights on a 10-game road trip. Four starters weren’t playing. A lot of the guys on the team haven’t been playing, and it’s hard to stay sharp and stay in shape when you’re traveling so much on the road. Despite all these so-called excuses, we came together before the game and decided to play as hard as we can and play Spurs basketball. They’re a great team. Defending champs. They showed it down the stretch and got the win. We had them. We had a couple tough turnovers and shot ourselves in the foot in the last minute, but you have to credit them. Q: Ray Allen’s 3-pointer with 22 seconds remaining was the dagger. MB: That three by Ray was huge. We almost had the steal on LeBron (James) on that play. He somehow got it back and found Ray for the 3-pointer. Everyone back home knows what he usually does in that situation. Q: What will it take for the Heat to become one of the NBA’s all-time greatest teams? MB: It’s way too early. If you look back at the Celtics and Lakers and some of the great teams, they were great for 8-10 years. No doubt the Heat have an amazing roster and are the defending champs but if you want to be in that conversation, you need longevity. Q: Are the Heat a better team right now than they were last season? MB: I think they did get better. Those new guys (Allen and Rashard Lewis) add a whole new dimension and create more space for guys like LeBron and Dwyane Wade to slash. Q: Is there any way to actually defend LeBron? MB: We certainly have a theory of playing team defense. It’s almost impossible for one person to check the best offensive players in the league. You need to rely on your overall system, the weak side and rotations. Q: Manu Ginobili said you are one of the core players and leaders of the team after playing seven years with the Spurs. What does that mean to you? MB: It means a lot. Obviously, I’ve played a lot of games with those guys. I have tremendous respect for them as basketball players, competitors and human beings. The bottom line is the Spurs are all about doing things the right way and winning. When I was faced with a choice (two years ago) of being a free agent and maybe trying to get more money or increase my role somewhere else, it just wasn’t worth it. I have it good here. Bonner discusses The NBA Life each week with radio broadcaster Chris Ryan and New Hampshire Union Leader reporter Kevin Gray, and the interview appears weekly in the N.H. Sunday News. Wow, what a powerful night with the Fisher Cats, who honored police officers throughout the state and raised thousands for charity during tonight's game against Reading. Before the game, I met Manchester police officer Dan Doherty, 26, who was shot four times in a March gunfight and spent more than a month in the hospital. He threw the ceremonial first pitch for Law Enforcement Night, firing a strike before dozens of men and women in uniform. He told me about the night he was shot in the abdomen, hip and leg -- after responding to a report of an armed man on the West Side -- and how he constantly deals with flashbacks. "I think about it daily, hourly. I always think about what could've happened. I'm glad to be here now," he said. "It's a special night." Greenland police chief Mike Maloney, killed in the line of duty in April, was an honored during pregame. It was a privilege to be part of the annual Law Enforcement Night -- and the Fisher Cats again did a tremendous job organizing this event. "I knew I was hurt, for sure. I felt it on one pitch. I probably should have stopped right then, but I kept going and threw threw three or four more games. It kept getting worse and worse, but that's the type of pitcher I am. I'm not coming out unless you pull me off the field," he said. "I went out there and tried to help my teammates. It ended up hurting me more than it helped me, but that's all in the past. Everything happens for a reason. I'm just thankful the Blue Jays gave me this opportunity." Asked if it's fair to say he was overworked by Aggies coach Rob Childress, Stilson made sure he didn't throw the skipper under the bus. "(College coaches) are in a tough spot. They either have to win or they get fired. They have to win ball games to make a living and support their family. I understand. It was also my choice to go out there and pitch." Get this: Stilson once threw about 30 pitches against Dartmouth at Coral Gables, Fla., waited through a 1-hour rain delay, and returned to the mound. Later that night, he pitched in relief, earning a save as Texas A&M beat Miami. That's essentially three separate appearances on the same day! Hello. 1. Respect the game -- Great effort goes without saying. Hustling on and off the field and proper behavior are some of the ways to honor baseball's tradition and those who have played before us. It's a privilege to wear the uniform and represent the school or name on your jersey. Don't take it for granted. 2. Always have fun -- After all, isn't that what it's all about? Whether covering Little League games or World Series games, I've found a common theme from the most successful players and teams through the years. "You want him to play the game like he's having fun and play hard. I look for that first, as a dad, to make sure he looks like he enjoys it," said Red Sox bench coach Brad Mills, asked about his son, Beau, who played against the Fisher Cats last week. 3. Teamwork -- In sports, there is nothing more rewarding than everyone believing in a common goal and pulling for each other, putting individual accomplishments aside. Championships, not batting averages, are what everyone remembers in the end. 4. Play by the rules -- There is no substitution for hard work. And no short cuts. "You can't skip ahead in life," New Hampshire pitching coach Tom Signore said. "If you want to be a lawyer, you've got to go to law school." 5. Sportsmanship -- Respect your opponent and umpires. Win with humility and lose with dignity. Failure is part of the game, and throwing your bat or helmet will not be tolerated. 6. Throw a fastball for a strike -- Forget the off-speed stuff until learning the importance of commanding your fastball. Then think about throwing a changeup. 7. Don't forget defense -- Fisher Cats manager Gary Cathcart says it's the most neglected part of the game among youngsters. How to field a grounder? "Get in a ready position. Move your feet. Get your glove in a good position to make the play," he said. 8. Throw some more -- There is some truth to an old-school philosophy: A sore arm is a sign of not enough throwing. Play catch. Throw a bullpen session. Long toss will help strengthen the arm. "Too many pitchers only pick up the ball when they play," Cathcart says. "Our pitchers throw every day during the season." 9. Listen to coach -- Pay attention. Ask questions. Be coachable. It's a game of endless fundamentals and strategy -- and it keeps getting better with the more you learn. 10. Baseball is life -- Some of life's most valuable lessons are right there in our national pastime: focus on what you can control. A strong work ethic is needed to succeed. Be tough. Rise above critics. In the end, character and integrity are more important than hitting home runs. Just got home and turned on the Jays game. Brett Lawrie struck out on a called strike that was at least 6 inches off the plate. All umpires are terrible.Yeah, it was a 14-3 game, but that's not a strike if bad-boy Brett wasn't standing there. Wonder how long the umps will haze him ... Robinson Cano's homer to center field off Tyson Ross was an insane back-spin blast on a pitch below his knees. 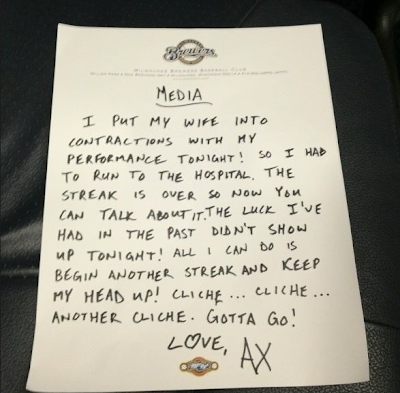 Oh, my, nobody has more fun playing pro baseball than Nick Swisher. In a related note, his dad. Steve, managed the Reading Phillies in 2004. Ryan Howard hit a bomb off the JFK Coliseum that season ... Happy for Brian Van Kirk and Brad Glenn, who homered for the Fisher Cats tonight. Brad Glenn and Van Kirk each blasted two-out homers off Binghamton Mets starter Darin Gorski. RHP Sam Dyson hit 97-mph on Wednesday, the hardest pitch thrown by a Fisher Cat all season. RHP Chad Jenkins (disabled list) will throw one more bullpen session and likely return to the starting rotation. Said his arm felt great after yesterday's 'pen. What was the issue? "Probably just me freaking out. I was a little extra sore after one start and got a little nervous. I guess I just needed some rest," Jenkins said ... Switch-hitter Mike McDade homered from both sides of the plate in Wednesday's doubleheader. That was an ugly day for the Fisher Cats, swept by Portland. The Fisher Cats could have won the first game but somehow John Tolisano didn't score from first base (with two outs) on a high fly ball to CF that surprisingly dropped. McDade walzed into second base for a double. Tolisano only made it to third. Sal Fasano on the play: "He was running hard. It wasn't really high enough to get from first to home. By the time it dropped and bounced right into the center fielder's hands, John was just getting to third. It was a tough one because it was only a 150-foot throw by that time. We made more mistakes early in the game." Brian Bocock was thrown at home plate after Fasano got too aggressive in the third-base coaching box. "With Bocock, I probably should have held him. And (Brad) Glenn not scoring on a ball hit off the wall by (Brian) Jeroloman. A lot of things could have gone better. Bad first game," Fasano said after the 7-6 loss to Portland ... Fasano has done a poor job managing and motivating this team. I've never seen so many Fisher Cats not run hard to first base on routine grounders and pop fly balls. me fail. Well I hope ur enjoying it... All of You!!! The Blue Jays and Fisher Cats, in their ninth year together, remain honeymoon-esque. The two parties officially re-upped today, extending their player development contract through 2014. Not too surprising. On the last homestand in Manchester, Charlie Wilson, Toronto's director of minor league operations, said the Jays would "love" to re-up with New Hampshire. "Awesome affiliate. Great city. Great facility. More importantly, there are great people here with the Fisher Cats." Story on Wednesday's announcement here in the NH Union Leader. The city of Ottawa had high hopes of luring Toronto's AA affiliate as early as 2013, but that was a bit unrealistic. 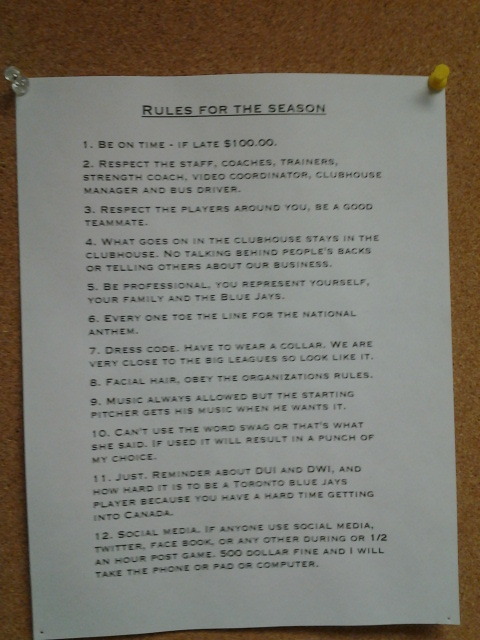 I could see the Jays moving their AA affiliate to Ottawa by 2015. In New Hampshire, fans have shown great support for Toronto's farm team, but the Red Sox are more of a natural fit here. The Red Sox and Portland Sea Dogs are under contract through 2014. Just saying. So I'm sitting in the press box having a conversation with Max Sullivan, a kid/blogger/relentless inquisitor of how to cover the Fisher Cats, and things get out of control. Turns out Max can shred a guitar. Turns out he played at Murphy's Taproom in Manchester the other night -- in front of some Fisher Cats relievers! A girl requested he play "Party in the USA" by Miley Cyrus to which Fernando Hernandez replied, "Party in Cuba!" Now, let me back up for a minute. As Max is telling me this story, he is soaking wet. Why? He locked his keys in the PT Cruiser and stood outside while waiting for the tow truck. Max kills me. He writes stories for FutureJays.com (we think) but nobody has any proof because there is a monthly fee to read his stuff. He once referred to the bullpens as "those things" and had no idea what they were actually called. But these are all reasons we like him. Blue Jays catching prospect A.J. Jimenez hasn't played for the Double-A New Hampshire Fisher Cats since May 13 -- and probably won't play again until next year. Jimenez, bothered by a sore elbow, was told on Friday he will need Tommy John ligament replacement surgery to repair the ulnar collateral ligament in his right elbow. Jimenez had pictures taken at a local hospital and later left the ballpark with his elbow wrapped. He told Fisher Cats fan Brad Bacon that surgery was already scheduled. Fisher Cats manager Sal Fasano said Jimenez will receive a second opinion but is "most likely" headed for TJS. Fasano said the elbow ligament is "hanging by a thread." The world would be a better place if we all shaved an image of Matt Bonner onto our heads and embraced his values and work ethic. That is all. Thank you. Only the greatest thing you'll see all day (week, month? 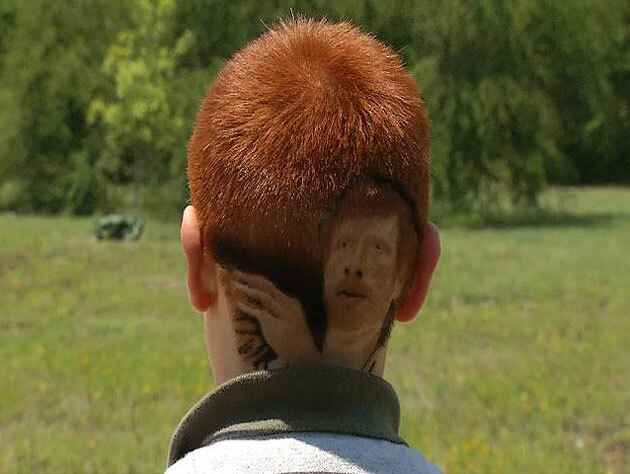 ): "A young San Antonio Spurs fan faces an in-school suspension on Thursday if he doesn't somehow find a way to alter the image of Matt Bonner shaved into the back of his head." The writing by Kelly Dwyer at Yahoo's Ball Don't Lie is splendid, dripping with Red Rocket-esque sarcasm. Please, people. We need to get this kid on our radio show with Matt Bonner. Pass it along. My boys at Black in Blue keep grinding out episodes. This time, they talk about John Farrell's lineup changes, minor-league signee Vladimir Guererro and check in with Blue Jay Hunter. They also give away a BIB tee. The show-ending handshake is a little awkward. Mix it up, eh? Proud to say I was the first guest on this show. SO GOOD. 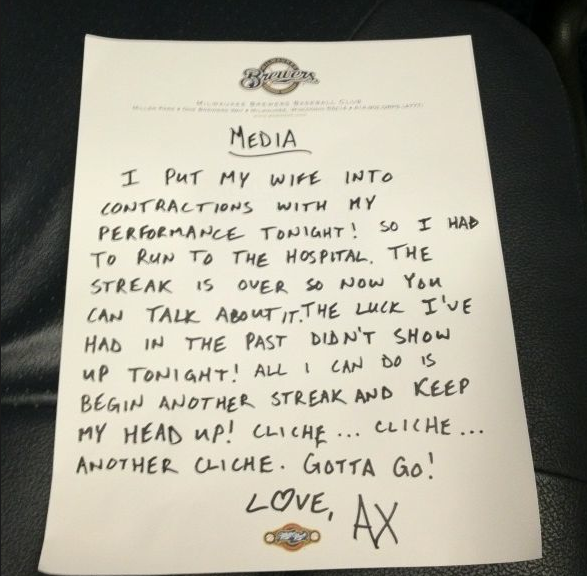 Here is the note John Axford left for the media, snapped by @JordanSchelling, after his streak came to an end, and he had to dash off to the hospital. If only Fisher Cats manager Sal Fasano would take a similar approach instead of shutting his office door when the team loses. Chris Carpenter has spent the past few weeks strengthening his shoulder and preparing for a throwing program. He said his neck and shoulder feel great, but the true test will come when he picks up a baseball. In 2004, Carpenter was sidelined with a similar nerve-related injury late in the season and didn’t pitch against the Red Sox in the World Series. TIME TO FLIP a food spread. Time to send somebody packing. The Fisher Cats are playing uninspired, sloppy baseball right now. Tonight they opened a four-game series against Binghamton and lost, 9-2, dropping their fourth in a row. New Hampshire (13-19) struck out 15 times and committed three errors. (Mark Sobolewski, throw; John Tolisano, catch; A.J. Jimenez, throw). We expected a drop-off in production from last year's championship team, but nothing quite like this. Grumpy Sal Fasano shut his office door after the game. 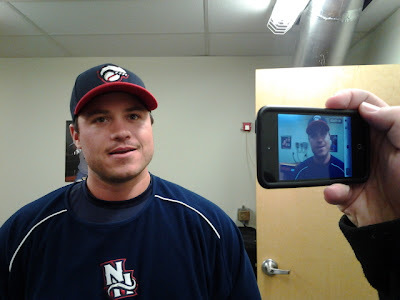 I talk with the Fisher Cats manager after most every game I cover. It was time to get some reaction on this losing streak, but after Fasano saw me in the hallway, he immediately shut his door. Jonathan Diaz and Brad Glenn did speak about the current state of the Fisher Cats. "You want to win. When you're in a skid like this, it's tough," Diaz said. "All we can do is keep grinding and focusing and giving it all we've got." AFTER HOURS: No, that is not the Millennium Falcon parked in left field. 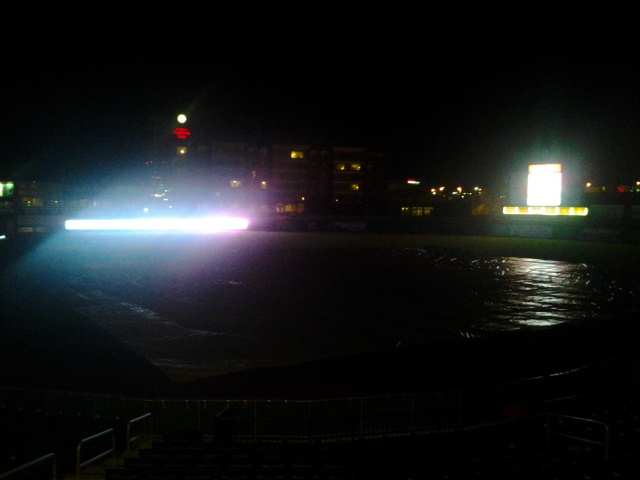 It's the new LED board at the Fisher Cats ballpark. IN 2006, more than 9,000 fans came out for a minor-league game in Lexington, Ky., to watch Roger Clemens on a comeback for his 23rd season in the majors. A 19-year-old Koby Clemens played third base that night, delivering a message to the starting pitcher in the third inning. It was one of Roger's favorite father-son moments in baseball. "It's a packed house, and he comes jogging over to the mound. I'm thinking he's going to give me a quick scouting report on the hitter, Clemens, a seven-time Cy Young Award winner, said in a phone interview last week. "He says, 'Pops, if you punch out this hitter, the whole place gets a free gallon of windshield wiper fluid.'" Koby got the laugh. The Rocket got the strikeout. "That's Koby. He'll lighten the moment," said Roger, now in the thick of a perjury retrial in Washington, D.C.
Koby signed with the Blue Jays during the off-season after spending seven years in with the Astros, rising to Triple-A. Last week, the 25-year-old smacked an opposite-field home run, his second homer at Northeast Delta Dental Stadium this spring. No longer a prospect, Clemens must pounce on every opportunity he gets at Double-A. He would need to tear up Eastern League pitching in order to jump ahead of Fisher Cats starting first baseman Mike McDade or third baseman Mark Sobolewski. "He's worked way too hard to not continue chasing his dreams," the elder Clemens, a 354-game winner, said. 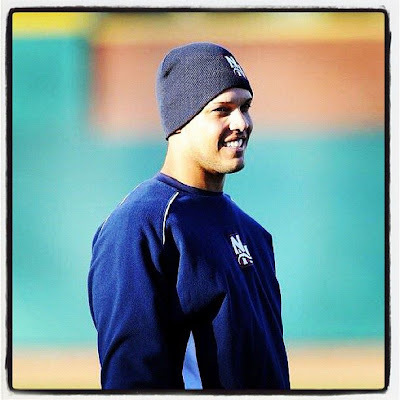 "I think he's a solid first baseman and has shown to be versatile enough to play other positions. He reminds me of (A's infielder) Brandon Inge, a guy I played against a lot." Koby had his most productive year in 2009 at Advanced-A Lancaster, batting .345 with 22 homers and 121 RBIs for the Astros affiliate. That year started out similar to this season. "I was playing in a backup role, and I went into the year angry and ticked off because I wasn't playing much," he said. "All you can do is prepare yourself for the next time you get a chance. I got my chance and things took off. You never know what's going to happen tomorrow." The 5-foot-11 Clemens, built with thick muscle from his calves to his shoulders, doesn't shy away from conversation about his father. He said the court-room drama and daily stories don't weigh on his mind as much as they did in 2008, when his father appeared before a Congressional committee and swore under oath he did not use performance-enhancing drugs. "It's a lot easier this year. Since 2008, when everything started coming out, it's made me a little bit tougher about how to handle things. Same with the family. It's thickened our skin. You find out who your true friends are," Koby said. "The best thing I can say right now is we'll have our day in court, and we're going to battle it out until the end ... Obviously, we are going through it all over again and hopefully the truth will prevail." Debbie and Roger Clemens spend most of their time following the K-kids. The youngest boys, Kacy and Kody, play sports at Memorial High near Houston, Texas. Kory, the second oldest, graduated from culinary arts school in Austin and plans to make a career in the restaurant business. Koby may not reach the majors this season, but he's having the time of his life. It's clear the Fisher Cats are a tight group with excellent team chemistry. Koby Clemens is a big part of that, whether taking a leadership during workouts or cracking up teammates in the clubhouse. "We have a great group of guys. I've been on teams in the past when there was some bitterness or it wasn't as enjoyable hanging out. This is one of the teams where everyone enjoys hanging out and staying late, talking about the game. 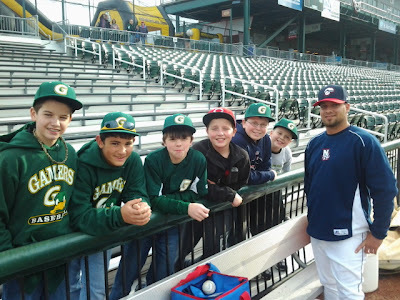 That's what makes baseball so enjoyable," he said. And if he wasn't playing baseball? "Wow, I don't know what I'd be doing because baseball is all I've ever known. Obviously, I love it. My dad never pushed me to play baseball. He only said no matter what I decide to do in life, you have to put everything into it," Koby said. Money will never be a problem. Somewhere in a family trust, there is a bank account with millions of dollars earmarked for the Clemens kids. Roger earned more than $121 million in salary alone during his career. "I've been very blessed with everything my dad has done and what he's passing along to me and my brothers, but that's something I want to save for my family and my kids and their kids," Koby said. "I'm not planning on using that for my own benefit. I'm going to save that and let it grow and pass it along to my kids and grandkids for their education. I want to go out and make money of my own. I don't want to live off my dad. Everything he has done for me has been great, but I have to be me. We can't live under the same roof until I'm 40." Koby jokes about forming his own reality TV show with his family. They could start filming on the next homestand at Northeast Delta Dental Stadium when Debbie and Roger arrive at the park. The Rocket said he hopes to throw batting practice during the Fisher Cats-Binghamton series from May 10-13. "They're dying to get out here and bring back the old memories of northern baseball and playing for the Red Sox," Koby said. "When they roll in here, you won't miss them. We'll all be having a good time." Catcher Brian Jeroloman, a three-time All-Star with the Fisher Cats, paid his dues for six seasons in the minors before fulfilling a lifelong dream – sort of. In August, Jeroloman was called up by the Blue Jays but never played. He warmed up pitchers and earned big-league meal money for five weeks, not once entering a game as defensive replacement or pinch hitter. Fans began to wonder. On Twitter, they made predictions on when he might finally make his major-league debut, creating a mock “Jero” pool. Was it a discipline issue? No. Was he hurt? How could he get hurt if he never played in a game? Jeroloman, an outgoing New Yorker who could talk a dog off a meat wagon, only offers a “no comment” when asked about the circumstances involved with riding the pine. Jeroloman spent 37 days on the active roster with Toronto yet his 2012 baseball card shows no sign of reaching The Show. A former prospect, Jeroloman now serves as a backup catcher behind 22-year-old standout A.J. Jimenez. So what is the story behind the phantom big leaguer? (Isn’t the suspense killing you?) Yes, it was injury. Jeroloman suffered from a hand or wrist injury but everything was kept hush-hush, according to some Blue Jays teammates. J.P. Arencibia told me Jero was hurt and couldn't play. Fisher Cats reliever Danny Farquhar, who spent last September with the Blue Jays, said he knows the full story behind the curious case of Jeroloman but can’t say. “It’s supposed to be a secret,” he said. Jeroloman, 26, has started only four games for the Fisher Cats this season. The former Florida Gator hasn’t hit for average, batting .071, but his defensive skills (specifically receiving, throwing and footwork) have been sharper than ever. He threw out three would-be base stealers in a home game against New Britain. Jeroloman may have been sent down to Double-A to start this season, but it could a blessing disguise while working under manager Sal Fasano, a long-time backup catcher in the majors. Fasano has been there before. “I see a guy who is a great worker and is just taking another step trying to get back to the big leagues. (Jeroloman) understands his role. A lot of times in development, you think playing every day is what you need. Well, there are other times when you have to learn how to play once a week,” Fasano said. One has to admire Jeroloman’s attitude and work ethic. Last fall, he was an active big leaguer (sort of). Today he’s a backup Double-A catcher with only 14 at-bats this season. "This game can knock you down. It’s all about how quickly you get back up,” he said. UNLEASHED. The previously slumping Fisher Cats ended their road trip with a 16-3 rout of Binghamton and return home tonight to open a seven-game homestand. Here's a look at pitching matchups and a preview of the weekend against Trenton. Andy Pettitte isn't scheduled to pitch again for the Thunder until they play at Portland. Things have been quiet in the land of Fisher Kitties lately. A day off, rainout, then six scoreless innings by Chad Jenkins as New Hampshire opened the series at Binghamton with a 4-0 win on Tuesday. Entering tonight the Fisher Cats own an Eastern League-worst .238 team batting average. Mark Sobolewski had a three knocks at Bingo tonight, which prompted me to post this video from the first homestand in which Sobo recaps his skin cancer scare. A conversation with Brett Cecil -- and "Jero"
Brett Cecil says he'd "rather pitch anywhere" than Las Vegas and talks about his struggles of last season, mechanical issues, returning to Toronto -- and why he lost all that weight. Cecil, who starts Thursday at New Britain, topped out at 87-mph in his most recent start for the Fisher Cats. (That's an improvement of a few mph.) Catcher Brian Jeroloman also provides some insight during today's interview with "Squints." RHP Chad Jenkins has a shot at joining the Blue Jays next week when a need for a fifth starter arises. Here at Double-A New Hampshire, the only candidates are Jenkins, Drew Hutchison and Brett Cecil. In this video, Jenkins talks about his most recent start against New Britain. Jenkins pitches tonight against the Binghamton Mets ... RHPs Clint Everts and Yohan Pino were sent to New Hampshire from Triple-A Las Vegas, and RHP Fernando Hernandez was placed on the disabled list ... Nobody sums up the weather here like Justin Jackson: "Flames then frost the next day," tweeted @JaxChillinOne ... Fisher Cats now have four No. 1 draft picks on the active roster: Jackson, Everts, Jenkins and Cecil. Jackson's .400 average ranks fourth in the Eastern League. However, this is a weak at-bat from a homer-hungry JJax.